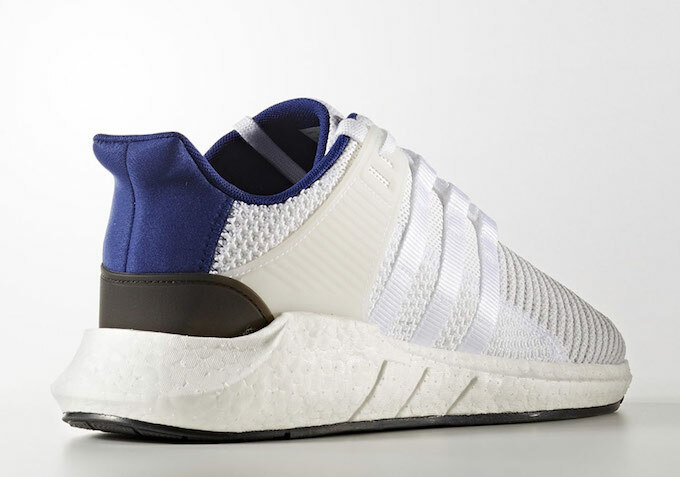 The adidas EQT Support 93/17 is arguably the best model from the EQT Support series that takes the roots from the early ’90s running shoe and gives it a modern day street makeover. Set to debut towards the beginning of Fall 2017 is this adidas EQT Support 93/17 Royal colorway. Featuring a clean White upper and webbed tape Three Stripes that’s accents with Royal Blue covering the medial side and wrapping the heel. Black hits can be seen on the shoe’s heel and outsole, while sitting atop a full-length Boost midsole. Check out the detailed images below and look for the adidas EQT Support 93/17 in White and Royal to release the in the next couple months at select adidas Originals retailers and adidas.com.